A generous donation was made by Jennifer Delise in memory of My bravest friend yet, Brucke. A generous donation was made by Thomas Reybein in memory of Nala – our Golden Retriever who passed away at the young age of 8. A generous donation was made by Julie Berkelaw in memory of Lacey, who was owned and loved by Valerie and Lou Olszyk. 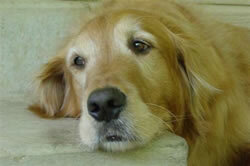 A generous donation was made by Linda Johnson in honor of Mia, our very special Golden girl. A generous donation was made by Tarah Van De Wiele in memory of Guinness, who we lost at 12 and who defied the odds and lived a happy, active 2 years when the doctors gave him 4 months. He was amazing, and will always be our beloved friend. A generous donation was made by Gina Simeone in memory of Princess. 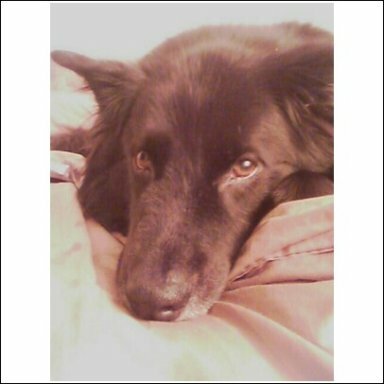 A generous donation was made by Susan Beasley in memory of Oscar a Lab/Shep mix of 10 years lost his fight with lymphoma in August 0f 2004. A generous donation was made by Victoria Lipski in memory of Dean R. & Gerda Koontz’s beloved Trixie. A generous donation was made by Sally Quillan in memory of MOLLY MERLIN BAILEY. A generous donation was made by Harry Lichter in memory of PJ Romancini. A generous donation was made by Susan Conway in memory of Jake Conway and in honor of Northlake Veterinary Specialists, Tucker, GA.
A generous donation was made by Mary Costello in memory of Rigsby Ross. A generous donation was made by Sheila Coover in honor of Brady, a brave little guy who is currently fighting his battle with cancer. A generous donation was made by Seth Park in honor of Lucie! Cancer free and happy as can be! A generous donation was made by Breanne Gage in memory Mandy, Calvin, and Guinness. A generous donation was made by Michele Piligian in honor of Bella. A generous donation was made by Shelley Lickfeldt in memory of Dakota. A generous donation was made by Amy Adams in memory of Shadow Adams. A generous donation was made by Rebecca Frecks in memory of Isis Pacheco-Lopez, a beautiful & sweet friend. A generous donation was made by Jacquelyn Pellett in memory of Meeko “Mighty dog”, Chubaca and Bridgette. A generous donation was made by Matthew Espinoza in memory of Oliver Zottola. A generous donation was made by Lanny and Kathy Goodwin in memory of In memory of Jessie Hidalgo (dog) Owners: David, Kathy and Trista Hidalgo,. A generous donation was made by Hailey Heikkinen in memory of Buddy Heikkinen. A generous donation was made by Mary Costello in memory of Emma Alder. A generous donation was made by DeAnna Pollock in memory of Sammy and Misty. A generous donation was made by Jerrie Champlin in memory of Rex, Gary Kozlowski’s buddy. A generous donation was made by Anthony Coppolo in memory of Kendra Caccia. A generous donation was made by Barrett Howell in loving memory of Kailey. A generous donation was made by Mary Pat Mills in memory of my Service Dog and heart dog Marlee whom I lost to melanoma May 17, 2007. I love you always and forever my beautiful black girl. A generous donation was made byAimee Hardin in loving memory of Taylor Horak. A generous donation was made by Aimee Hardin in loving memory of Taylor Horak. A generous donation was made by Maria E.Chaira in loving memory of Lucky. A generous donation was made by Page Farmer in honor of Bailey. A generous donation was made by Brian Haines in honor of Rocky Haines 1990-2007. A generous donation was made by Bob & Alice Johnson in memory of our Mitzie. A generous donation was made by Barbara Liszeo in memory of Bucky’s Trouble, most beloved and greatly missed samoyed, who died of hemangiosarcoma . A generous donation was made by Rebecca Williams in honor of Mister Cool Blue – Our beloved Dalmation that I hope to have with us for many years to come. A generous donation was made by Olivia Baczek in memory of Our gone but never forgotten beloved rottweiler, Prince. 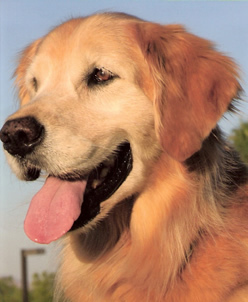 A generous donation was made by Kelly Lyon in honor of of Tyler Bear, a beautiful golden retriever and best friend for 9 years. A generous donation was made by Victoria Lipski in memory of Lee Dellecorte’s “Nick”. A generous donation was made by Andrea Gonzalez in memory of Rudy Wise…a peaceful dog with the best disposition I have ever encountered. He will always be remembered. -AJG. A generous donation was made by George Harner in memory of Cocoa, you will be missed, you were a great dog. A generous donation was made by Jill Klein in memory of Maisy and Shadow, my two best friends whom I lost this past summer. Maisy, my chocolate lab, lost her battle to lymphoma two days after her 7th birthday on August 21st, and Shadow, my rottweiler, lost his battle to malignant histiocytic sarcoma at just 6.5 yrs on May18th. I love you both dearly..
A generous donation was made by Kelly Flynn in memory of Cassie Bokemper. We will all miss you and your sweet and gentle personality so much. A generous donation was made by Melanie Whitley in honor of Sister Whitley. A generous donation was made by Evelyn Finn in memory of our darling sweet Sage, who passed away on 10/02/07 from bone cancer. We miss you and will love you forever. Love, Mommy, Grandma, Grandpa, Angel and Sebastian. A generous donation was made by Sara Conrad in memory of Siegfried died of leptospiros Sebastien – newly diagnosed my two GSD boys. A generous donation was made by Juli Jadick in memory of Emma Gowland. A generous donation was made by Sara Conrad in memory of Sebastien Conrad 2004-2007 Body currently at CSU for necropsy this week. 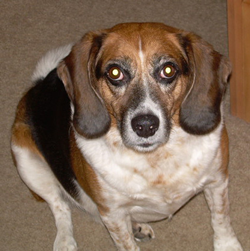 A generous donation was made by Judy Beagle in memory of Jack, my golden retriever. A generous donation was made by Cynthia Shaffer in memory of Suni Calhoun and Roxie Shaffer. A generous donation was made by Carol Helms in honor of our beloved Buffett. A generous donation was made by Beccie’s Barkery in memory of our their dog. A generous donation was made by Vicki Lipski in memory of Sage. A generous donation was made by Bev Lewnau in memory of Sage and Nick. A generous donation was made by Contact Zonies in memory of Nick. A generous donation was made by Sara and Gary Nice in memory of Nick and Sage. 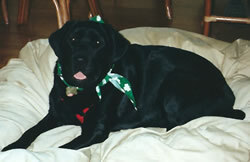 A generous donation was made by Erica Largen in memory of Charlotte’s lost battle w/cancer on Oct 10, black lab. A generous donation was made by Pinnacle Peak Animal Hospital in memory of Francesca Campbell. A generous donation was made by Betty and Meagan in memory of Tigger. A generous donation was made by Nadyne Finn in memory of my princess “Sage”. I miss you!.